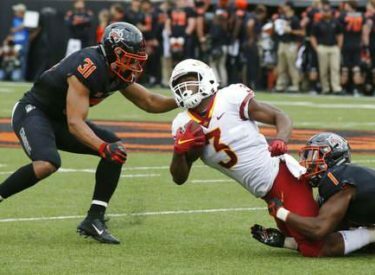 STILLWATER, Okla. (AP) – Oklahoma State’s 48-42 loss to Iowa State marks the second time in three games that the Cowboys surrendered more than 40 points in a home defeat. Its defense is surfacing as a weak spot that other teams are trying to exploit. While Oklahoma State has demonstrated an impressive pass rush, its biggest issue lies with the young secondary group.